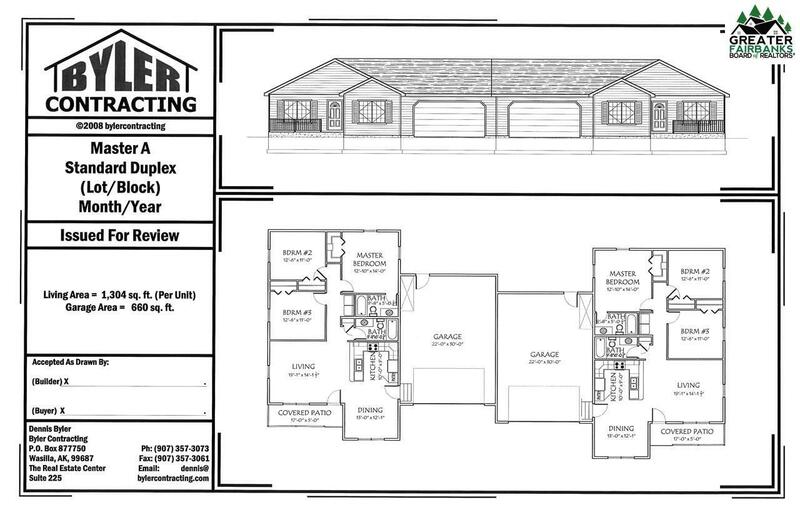 Proposed to be built, Attached brand new 5 Star rated duplex with garages and decks in new subdivision close to midnight sun elementary. 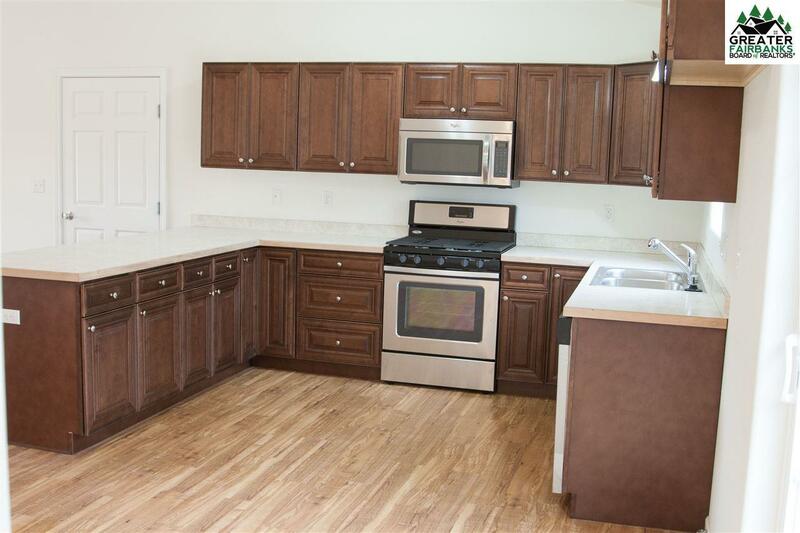 Comes standard with LVP flooring, radiant floor heat throughout, triple pane windows, soft close cabinets and drawers, White range/Oven, microhood, & dishwasher (can be upgraded). Also included in finished product is a septic, well up to 60' or city water(only if & where available in the S/D), D1 driveway up to 50 feet per unit. Foundation is Poured Concrete, 2x6 Exterior walls, cleared lot, rough grading only. Typically 150 day completion from when pre construction appraisal is returned during normal summer months. Construction to start as early as April of this year. 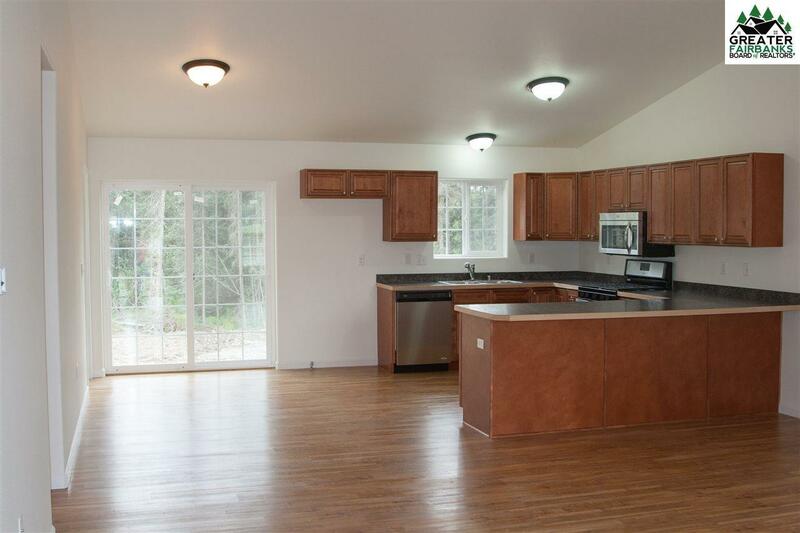 Located off of Badger road situated between both FTWW and Eielson. 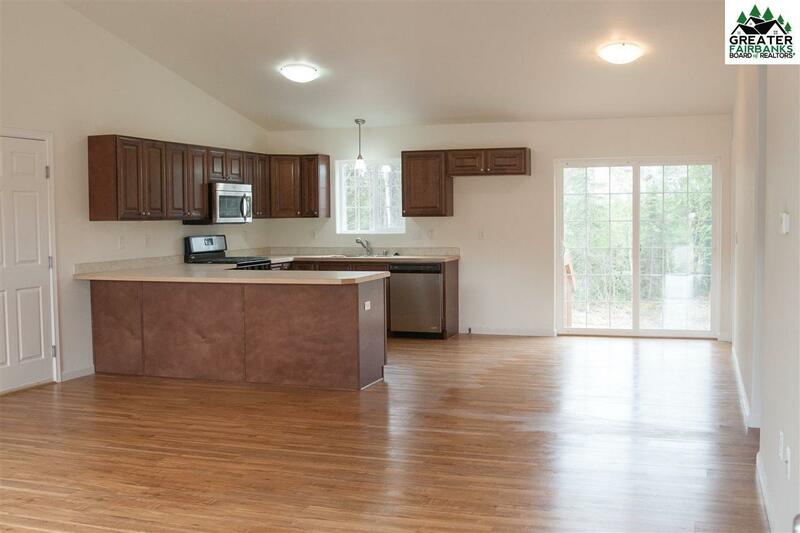 Photos listed are of similar units of the same floor plan.